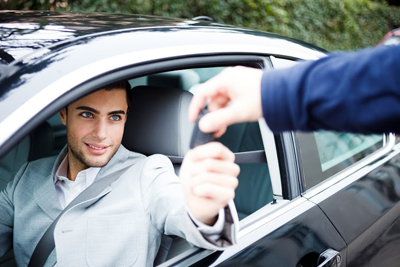 Your time is valuable and our locksmith company will get you out of trouble immediately and efficiently. 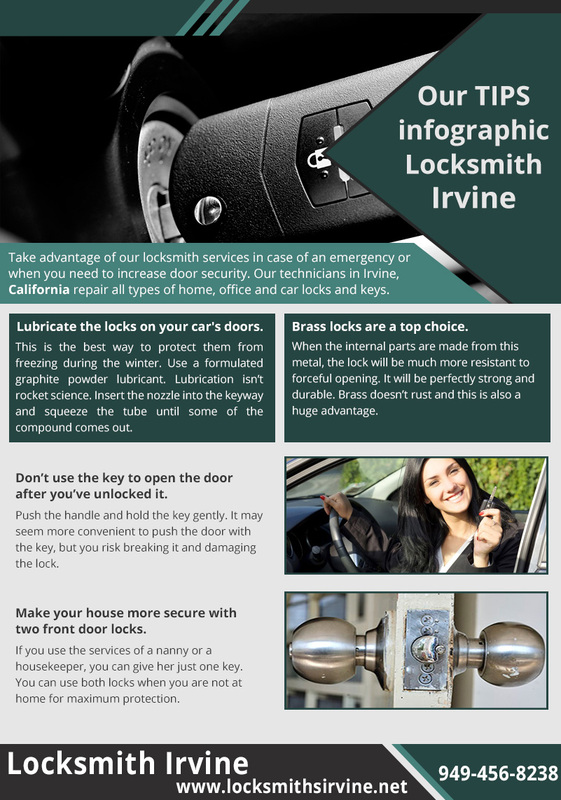 The human workforce of Locksmith Irvine is at your service 24/7 for all your needs. We have experience and proper training, exceptional equipment and the knowledge to find great solutions for all problems. At our company, you will always find support and available crews for an emergency lockout service or the installation of dead bolts. We are experienced with the latest security door locks and can suggest high quality systems for your home and office. An apartment has different needs from an industry but we know which parts to check and which entry points to secure best. Our services can cover your needs fully and we promise experienced and discreet work. Changing the locks of your property often will increase your security and we are able to find inexpensive, yet efficient solutions such as office or home lock rekey. Your lost car key can compromise the security of your vehicle and you won't have access to your own car. In this case, call our company immediately because we have the machinery and experience to unlock your car and replace the key. We invest significant capitals in the good training of our technicians and new equipment, so that we can speed up the procedures of each job and manage to complete locksmith services efficiently. We provide services 24/7, so do call for problems with your keys and locks. 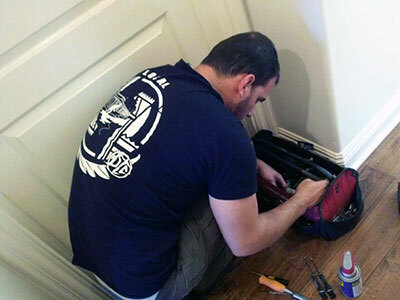 “Locksmith Irvine” is very experienced and keeps its teams organized. 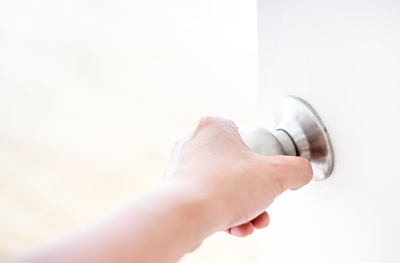 This way, you can expect immediate response to your calls and 24 hour locksmith service. In practice, this means that you can have our full support at all times. The customer service of our company is at your disposal 24/7 and our phone lines open for your calls. You can easily reach us via email as well or find us on Facebook. Why miss your chance to increase security? Contact us today!